Optometrists once dominated the sales of contact lens for the simple reason that they were the only people allowed to sell them. Today, the world is a very different place. Optometrists have competition from more places than they will ever know. Being able to purchase your contact lenses wherever you want, from the optical shop down the street, the neighbourhood big box store, to the multitude of online retailers, has changed the game. Now, optometrists are struggling to keep their patients buying from them. Of all the places you can buy your contact lenses from, optometrists are particularly opposed to you purchasing them online. Buying contacts online threatens both their business, and their traditional worldview of where and how you should spend your money when it comes to contact lenses. To combat the ever increasing shift towards shopping online, your optometrist may have a few things to say against shopping on the internet. 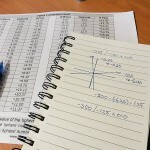 In this article, I will address optometrists’ main talking points when it comes to trying to dissuade their patients from shopping online and keep your money in their hands. It’s easy for eye doctors to simply dismiss anything found online as lesser quality than what they can offer you in person. This is that old-school thinking that business done over the internet is scammy and not legitimate. That is simply not true. Optometrists will never tell you this, but the contacts that your doctor orders for you, are the exact same contacts that you get when you purchase them online with your prescription. Down to the very last specification on your prescription, they are identical. Online contact lens retailers are required by law to only sell you exactly what your doctor prescribed for you. And similarly, your eye doctor is required by law to provide you with your contact lens prescription so that you may shop anywhere and receive the exact same product. These fairness to consumers laws passed in 2004, which are enforced by the FTC, ensure that the quality of contact lenses you get online is exactly the same as the quality you get from your eye doctor’s office. 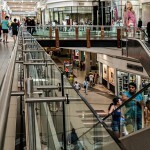 It is a well-known fact that selling things online allows for lower prices because online stores don’t require anywhere near as much overhead to operate as brick-and-mortar stores. In addition to that, online stores that focus solely on selling contact lenses sell such a high volume of contacts, that they get a better price from the manufacturers. These savings are passed onto you as the consumer. Some optometrists will claim that they can beat online prices. The truth is that they would not be able to do this without operating at a loss on their contact lens sales. They will claim that when you purchase from them, you will get exclusive mail-in-rebates from the manufacture, which you will not receive if you buy online. In all honesty, optometrists can’t really be blamed for this one. The reason they think this way is because the manufacturers are playing both sides of the coin. Representatives of the big contact lens companies will visit optometrists and tell them that they have exclusive mail-in-rebates for them which will make their prices competitive with online prices. Then they turn around and offer the exact same rebates to online shoppers. 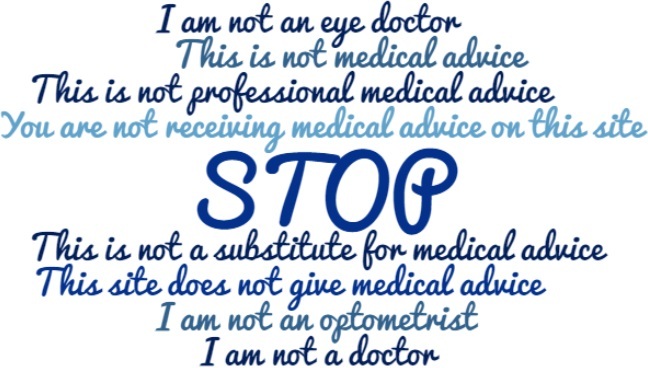 Most optometrists never check the prices online, so they are none-the-wiser. It’s a strategy that the contact lens manufacturers like Johnson & Johnson, CooperVision, Alcon, and Bausch + Lomb have used for years to keep the peace between themselves and optometrists. If they are ever questioned about it, they just claim ignorance, and promise to ‘look into it’. Contact lens manufacturers play a similar game when it comes to brand exclusivity. If your eye doctor has ever told you that he/she offers you an exclusive line on contact lenses, that cannot be purchased online, it’s probably because they’re being lied to by their contact lens representatives. Either that, or they’re pretty bold faced about lying to you to get you to fork over your money. The truth is that the other way around. In general, you will have access to a lot more different brands when shopping online than you would from your optometrist. In any case, you will be very hard-pressed to be prescribed a brand of contact lenses by your optometrist which you can’t find online. For some people these services may actually be of great benefit. People whose prescriptions tend to change very quickly, or people who are prone to experiencing problems with their contact lenses would do well to get their contacts from their optometrist so that they can be better taken care of. But in reality, very few people actually end up requiring these extra services, so they end up paying more for something that they will never use. Furthermore, some of these perks of buying contacts from your optometrist are left intentionally vague so that when the time comes, you may not actually be able to take advantage of them. For example, take the free visits for contact lens related problems. Don’t be surprised if you are told that what you thought was a contact lens related problem, is in fact something unrelated to contacts and you still have to pay for the visit. Or take the free exchanges if your prescription changes throughout the year. A lot of offices will only honour that if you purchased at least a 1 year supply of contact lenses. And if your ‘year supply’ lasts you longer than a year because you didn’t wear them every day, or decided to take a break from contacts at any point throughout the day, no exchanges will be possible. 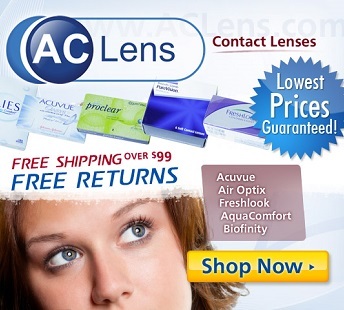 One of the leading reasons for ordering contact lenses on the internet is the convenience. You can order from the comfort of your own home, you can order them any time of the day (no need to follow any store’s opening hours), and they get shipped directly to your house. If you have vision benefits, you can even use your benefits online. Not every online retailer of contact lenses will accept your vision benefits, but some certainly do, and you can be sure that as time goes on, there will be more and more. The site ContactsDirect.com is known for accepting your vision benefits. They make the whole process extremely simple and easy, by finding out how much your insurance plan covers and automatically applying your benefits to the price of your contacts at checkout. In addition to all of that, if you know the right people (and if you’re reading this, you do), you can even have your contacts delivered within 1-2 business days (expedited shipping), at no additional cost to you (a $19.99 value). Aren’t you glad you found this article?